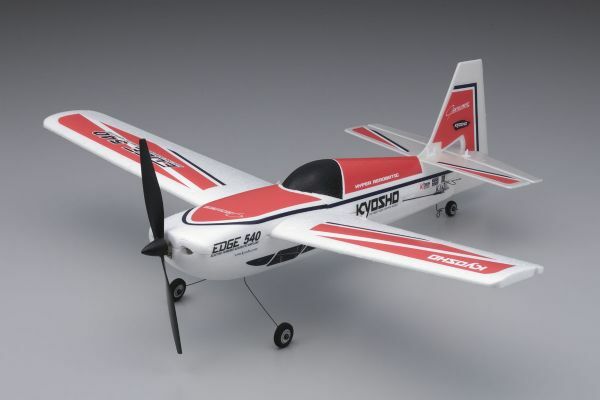 Robust flat bottom main wing produces high degree of flight maneuverability. 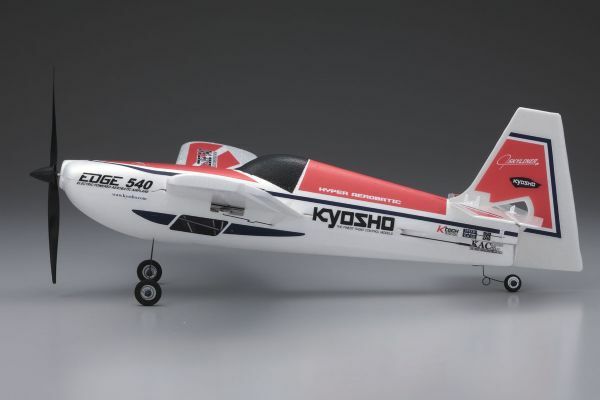 Ailerons provide direct control around the roll axis and sharper flight control. Reduced main wing flex prevents wing tip stall and contributes to greater slow flight stability. Main wing, vertical fin and tail wing are pre-fixed. Completely assembled with control surfaces installed. Only a few simple steps to complete flight preparation. Color choice of blue or red available. 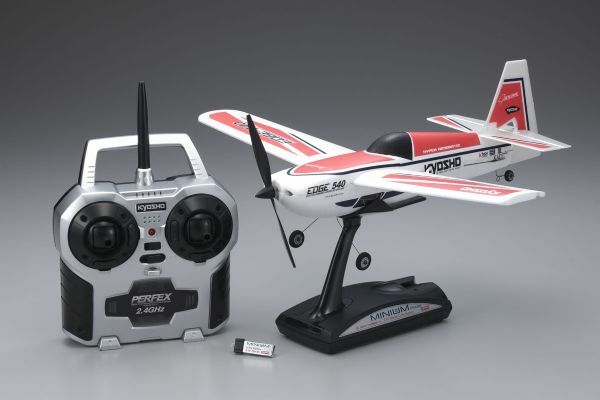 Advanced 2.4GHz R/C system allows up to 26 airplanes to be flown together safely at the same time. Fully assembled and complete with coloring and special R/C system linkages. 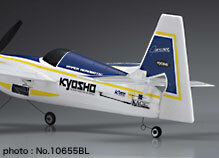 Tail wing is also pre-attached so just charge the battery and take-off. 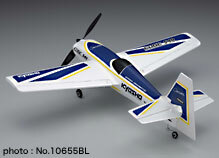 8mm motor replaces previous 6mm version for more powerful flight performance. 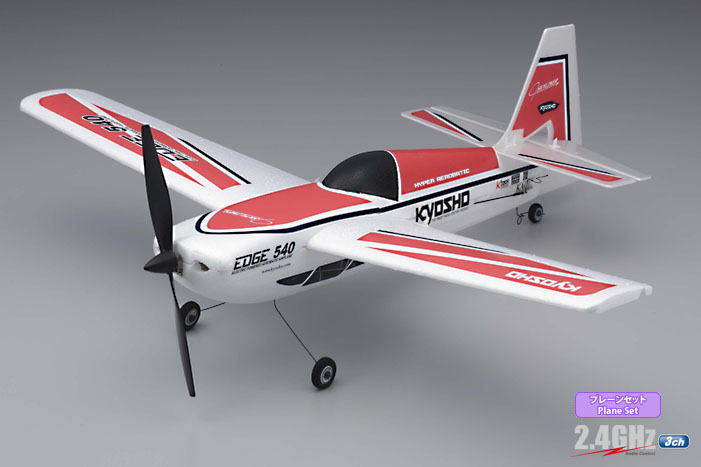 Large diameter D130 x P70mm propeller and special gear reduction unit deliver strong thrust. Features pre-installed lightweight one-piece control unit with built-in speed control amp, receiver and two linear stroke servos. Reduced wing flex results from the fixed main wing that includes ailerons and doesn't need to be removed from fuselage. 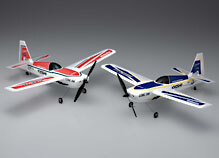 Thick flat bottom wing is robust but still light weight with excellent flight agility. making it an ideal 2nd or 3rd addition to you aircraft collection. Use your existing MINIUM series transmitter with other models from the lineup.